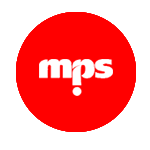 Media and Research are handled by a small team of number crunchers at mps. Fully dedicated to providing the best bang for our clients’ buck, our team has tried, tested and in many cases pioneered the media at both local and international levels. Our monitoring, research and competitive reviews are provided in the form of extensive weekly, monthly and annual reports, with additional quick-fire issues, informing our clients of the more immediate trends.